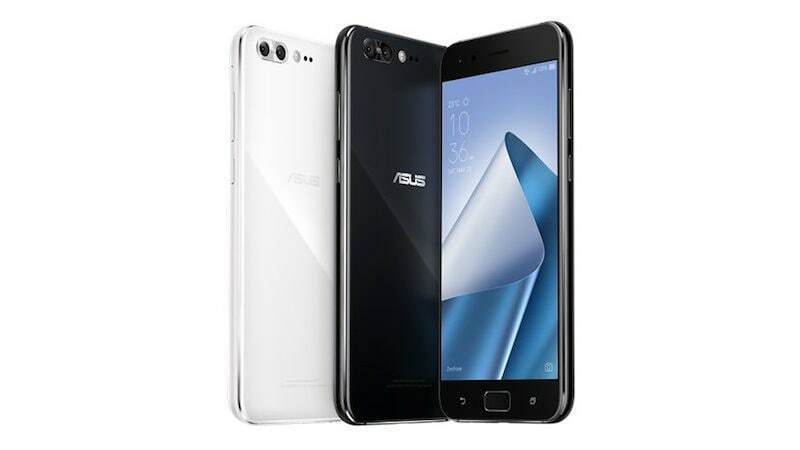 The Asus ZenFone 4 series was launched at an event in Taiwan, with four new models. While two of the new ZenFone 4 models had been spotted before on the company site – ZenFone 4 Selfie and Selfie Pro – the two new ones are the ZenFone 4 and ZenFone 4 Pro, featuring dual cameras. While the ZenFone 4 Selfie family sports dual front cameras, the ZenFone 4 family sports dual rear cameras. Three of the four smartphones are powered by mid-range SoCs, with the ZenFone 4 Pro the flagship model featuring a Snapdragon 835 SoC. All four run Android 7.1.1 Nougat with the company’s ZenUI 4.0 on top. As we mentioned, the new launches of ZenFone 4 series are split into two models – Asus ZenFone 4 (ZE554KL) and Asus ZenFone Pro (ZS551KL). Both are dual-SIM (Nano) smartphones made with aluminium unibody design, with sport diamond-cut metal edges. They also sport fingerprint sensors on the home button, and a dual speaker design. Both also bear the same main camera in their dual rear camera setups – a 12-megapixel Sony IMX362 ‘dual pixel’ image sensor that’s 1/2.55-inch in size, and features 1.4-micron pixels. This camera is complete with PDAF, OIS, EIS, and an RGB sensor. The Pro model gets laser autofocus and continuous autofocus in addition. They differ in the secondary rear cameras – the ZenFone 4 goes with a 120-degree wide-angle lens and an 8-megapixel sensor, while the ZenFone 4 goes with 2x optical zoom lens, a 16-megapixel Sony IMX351 sensor. As for the front cameras, the ZenFone 4 bears an 8-megapixel f/2.0 camera with an 84-degree wide-angle lens, while the ZenFone 4 Pro bears an 8-megapixel Sony IMX319 sensor camera with an f/1.9 aperture and 87.4-degree wide-angle lens. The ZenFone 4 is available in two processor and RAM variants – Snapdragon 660 SoC and 4GB RAM, apart from a Snapdragon 630 SoC and 6GB RAM – and both come with 64GB of inbuilt storage that’s expandable via microSD card (up to 2TB) in a hybrid dual-SIM configuration. The ZenFone 4 Pro on the other hand comes in two storage variants – 64GB and 128GB, once again expandable via microSD card – both with 6GB of RAM coupled with the Snapdragon 820 SoC. The ZenFone 4 bears a 3300mAh battery, while the ZenFone 4 Pro bears a 3600mAh battery. Connectivity options include 4G VoLTE, Bluetooth 5.0, Wi-Fi 802.11ac, NFC, USB Type-C, FM radio, and 3.5mm audio jack. Sensors onboard the two ZenFone 4 models include accelerometer, ambient light sensor, digital compass, gyroscope, and proximity sensor. The Asus ZenFone 4 will be available in Moonlight White, Mint Green, and Midnight Black colours, while the ZenFone 4 Pro will be available in Moonlight White, Pure Black colour variants. Price has been announced, however, availability is still under wraps. The ZenFone 4 price starts at $399 (roughly Rs. 26,000), while the ZenFone 4 Pro price starts at $599 (roughly Rs. 38,000).